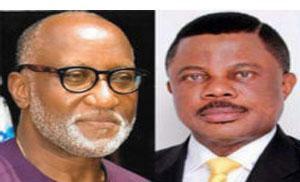 Anambra Decides: The candidate of All Progressives Grand Alliance, APGA, Chief Willie Obiano has in one of the results officially announced by the Independent National Electoral Commission, INEC, on Sunday won the candidate of Peoples Democratic Party, PDP, Mr. Oseloka Obaze in his local government (Ogbaru) with the total number of Â 6,615 votes, whereas Obaze got Â 4,416. Reports have it that Tony Nwoye, candidate of the All Progressives Congress , APC, who garnered 3,415 votes took the third lead in Ogabru local government followed by Osita Chidoka with 59 votes. In other LGAs announced at press time, Obiano has maintained a lead ahead of other candidates while Nwoye trails him in second place. The post Anambra Decides: Obiano wins Obaze in Ogbaru, Obazes local government appeared first on Vanguard News.